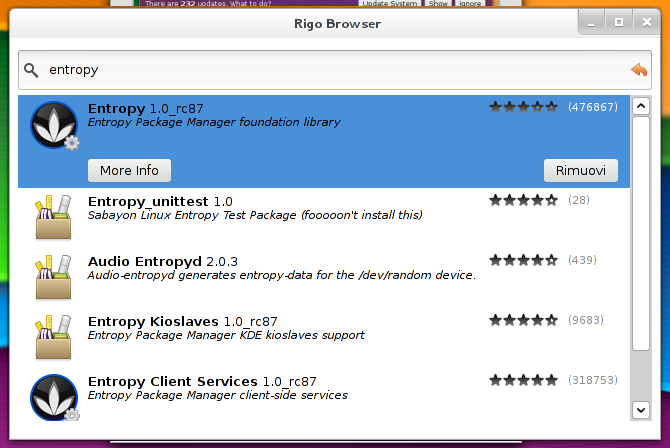 Rigo Application Browser is the official name of the Sulfur (aka Entropy Store) successor. The similarities end here, actually. This Gtk3-based application is sporting a very simple and clean design (Rigo means “row”, more or less): the whole interaction happens through a single widget: the search bar. Who doesn’t know how to use a search bar? Who doesn’t know how to use Google these days? Well, that’s the rationale. Installing Applications (but also searching through the available ones) should be just like “googling” a page. Nothing less, nothing more: you search it, you pick it, you wait for it to install. Done. It’s been a month since I started working on it, following a bottom-up approach, making sure that the architecture can scale up well (and it does!!!). 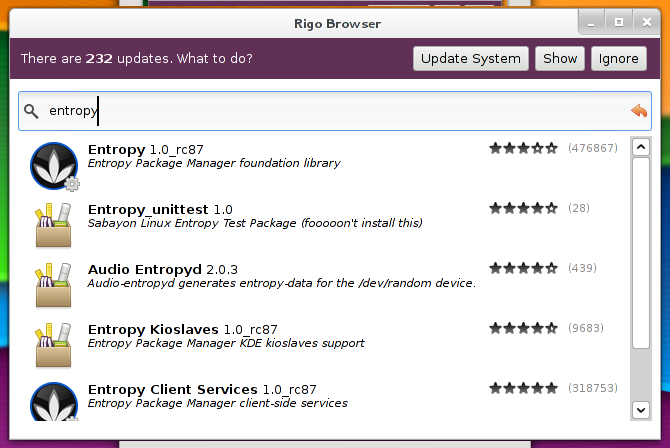 I guess another good month will be required before being ready for public testing (even though you can get Rigo via entropy.git repository already). If you’re wondering about the speed, well, this is blazing fast. If you’re wondering what package managers are going to become on the Linux platform, that’s the 2012 answer to that question. Enjoy the shots (the UI is not complete yet! These are from the 4th UI design iteration). The only thing I think would be extremely useful would be tags. Packages should be tagged and searching should also search tags. And searching “torrent” would include deluge in the result. For all I know, you’ve already got this included, but I know that tags (or possibly simply even searching the description) would make the search a lot more useful for somebody searching for an application to meet a need (instead of googling to find an application and then searching for the package). Looks awesome! I’m really happy on where Sabayon is heading. The 64 bit OS sings! I’ll wait until it gets into the Stable repos to give it a try. But I feel this at least needs an install/uninstall queue. It sure could automatically run through the queue by default (so most people won’t even have to look at it), but people need to be able to queue up more applications and see how far the entire process has processed. 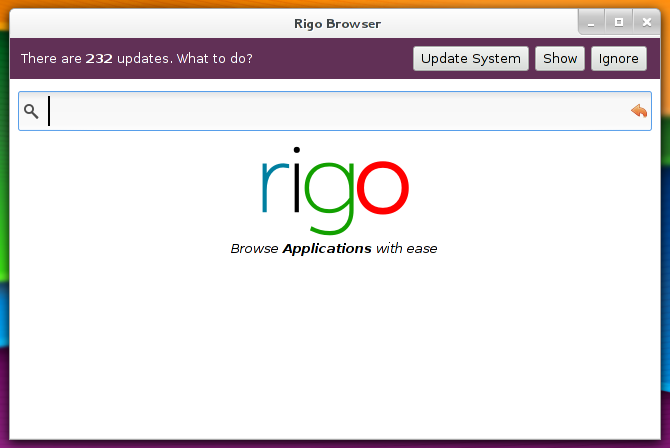 Rigo is a gtk3-based application, so for kde and qt? 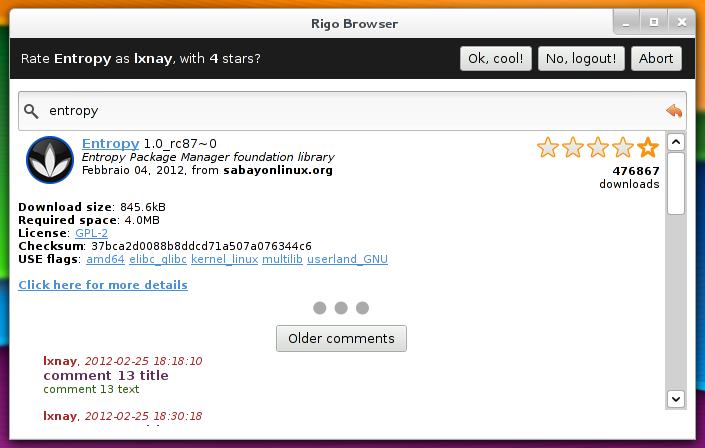 This means sabayon points to a better integration of gnome, leaving kde alone? So is Sulfur. 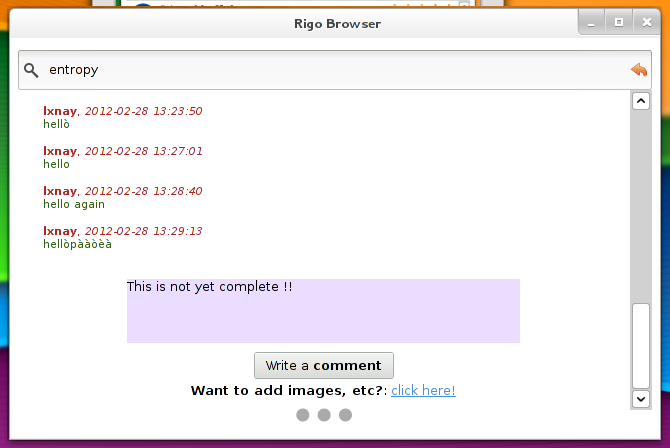 But Rigo has also a good UI/Logic separation, so multiple frontends may come after the initial release. 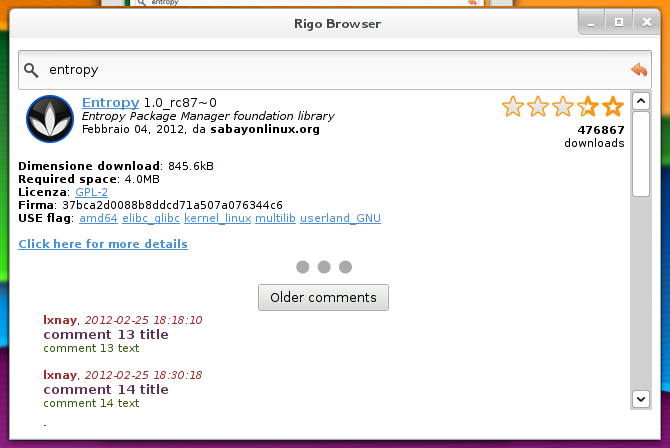 How can I editing repositories in Rigo? 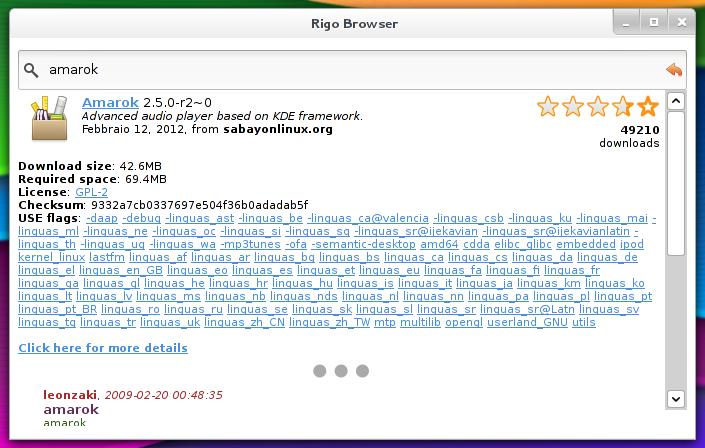 For example, how to change from stable to testing in rigo? Thanks. Will Sulphur be still available (for those who do not like Rigo)? 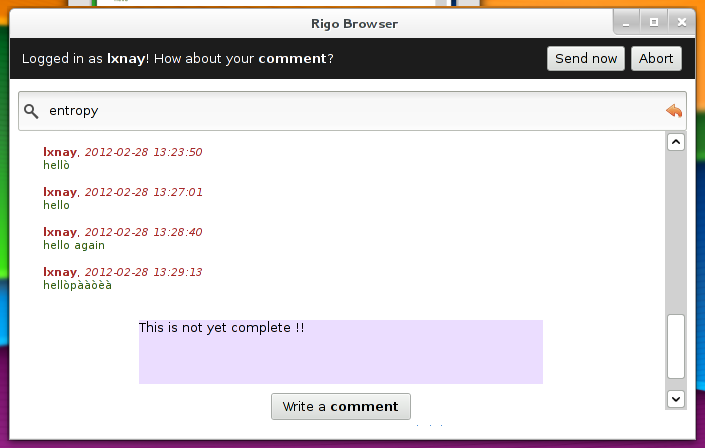 Can I explore using Rigo all the software in a certain category (for instance “Office”, “Multimedia”, and so on)?